Tags: "Annie's Blue Ribbon General Store", "be happy, be bright, be you"
We were thrilled to hear yesterday that the ironically-named Defense of Marriage Act was declared unconstitutional by the Supreme Court. To all our friends and family directly affected by this ruling, we celebrate this momentous victory with you and look forward to continuing this path toward equal protection and rights for all everyone! Tags: "Annie's Blue Ribbon General Store", "mini power kite"
Our Mini Power Kites are a must-have for summer! They assemble is seconds are are super easy to fly, making them great for younger kids and beginning flyers. And they’re nice and compact for traveling to the park! Tags: "Annie's Blue Ribbon General Store", "hit mit"
The super fun and portable paddle game is in stock and perfect for all your summer festivities! The set includes 2 lightweight EVA foam paddles and three balls in a handy mesh bag. They fit kids and adults alike, and are perfect for the beach, park, or anywhere else! C is for Cookie…and Cassette! Tags: "Annie's Blue Ribbon General Store", "cassette cookie cutter"
Is anyone else a little freaked out by the fact that these days, there are children who don’t know what a cassette is? With all of our gadgets and gizmos, even CDs are considered retro (shudder). It seems only yesterday I was using a pencil to rewind and repair all that ribbon…. 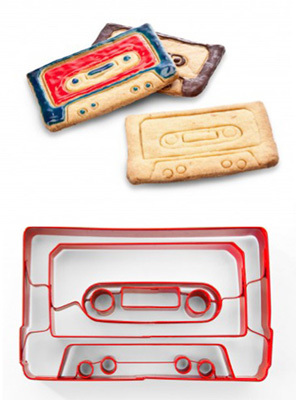 Luckily, a whole new generation can be introduced to the glory that is the cassette…in cookie form! These super cool stainless steel cookie cutters are a fun reminder of simpler times; perfect for the nostalgic 20+ baker, music enthusiasts, or anyone who enjoys a darn good cookie! Tags: "alexis barad" "who are we", "Annie's Blue Ribbon General Store"
We’re so excited our friend, Alexis Barad is going to be celebrating the launch of her new book, “Who Are We?” on Tuesday, June 18th at 4pm. We just got our shipment from the first printing and it is adorable! 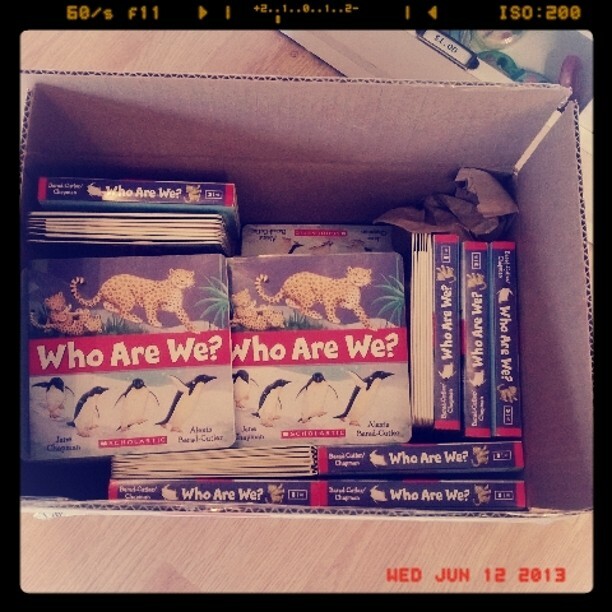 “Who Are We?” is a guessing game board book filled with lots of educational facts and fun interactive flaps. Come join us on Tuesday and meet Alexis! Tags: "Annie's Blue Ribbon General Store", "father's day", "rupture repair kit"
Guys, Father’s Day is this Sunday. I know. Try not to freak out. We have plenty of cards and great gifts for every dad, and one of my favorites is this Bicycle Rupture Repair Kit. It includes: tire levers, a multi-function bike tool, rubber solution, bone wrench, metal rasp, patches and instructions. All packed into a compact an beautiful metal tin. Perfect for your “biker” dad!!! Tags: "Annie's Blue Ribbon General Store", "babiators"
YES!! The sun is back out and in full effect on a beautiful day in NYC. 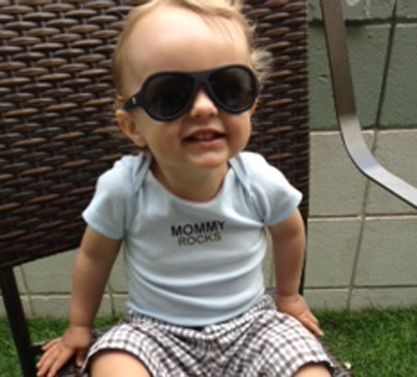 A Friend/fellow Mama/Customer sent this picture of her son, the sweet Baby C sporting his Babiators he got at the shop- love it! Actually he’s not a baby anymore, he’s wearing the 3-7 year size and they look smashing. Babiators are guaranteed- they will replace them if they are lost or broken; you can’t go wrong with that! Babiators (available in 2 size 0-3 and 3-7)- $20.